Monopoly Game: Star Wars Edition Just $11.23! Down From $25! PLUS FREE Shipping! You are here: Home / Great Deals / Amazon Deals / Monopoly Game: Star Wars Edition Just $11.23! Down From $25! PLUS FREE Shipping! Exclusive for Prime Members only! Amazon has this Monopoly Game: Star Wars Edition on sale for just $11.23 down from $24.99 PLUS FREE shipping! It’s the Monopoly game transported to the world of Star Wars! 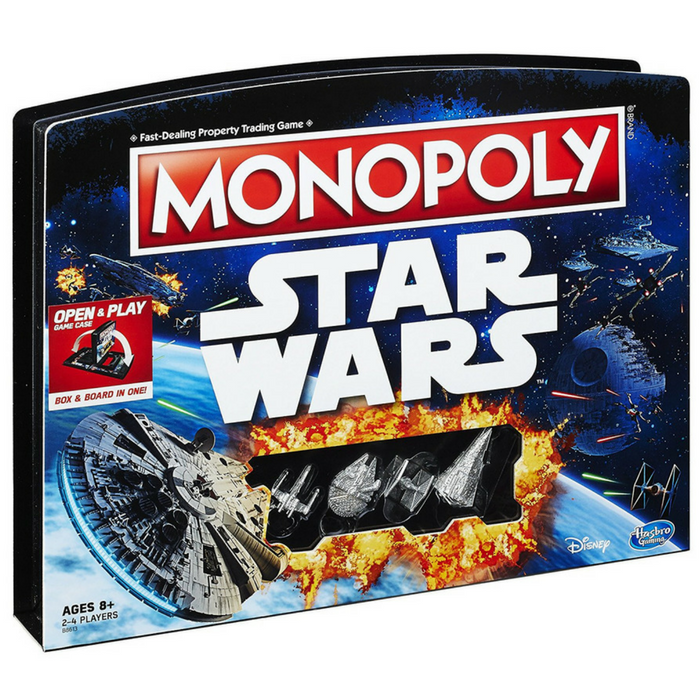 In this Monopoly game: Star Wars Edition, players move around the board in their favorite ship and embark on a quest to build their own galactic empire. The gameboard features iconic locations from the Star Wars films including Hoth, Tatooine, and Kashyyyk. The game has an added element where players can use the Force to perform special abilities allowing them to do actions such as swap, steal, and collect extra money. Open and Play gameboard folds into a case for quick and easy storage. Star Wars products are produced by Hasbro under license from Lucasfilm Ltd. The Hasbro Gaming, Parker Brothers, and Monopoly names and logos, the distinctive design of the gameboard, the four corner squares, the Mr. Monopoly name and character, as well as each of the distinctive elements of the board and playing pieces are trademarks of Hasbro for its property trading game and game equipment.